Aly Michalka is an American actress and singer-songwriter who rose fame in the 2000s as a Disney teen star. She is well recognized for her works with her fellow entertainer sister, AJ Michalka. They have acted together in TV shows and made music together as part of the music duo Aly & AJ. 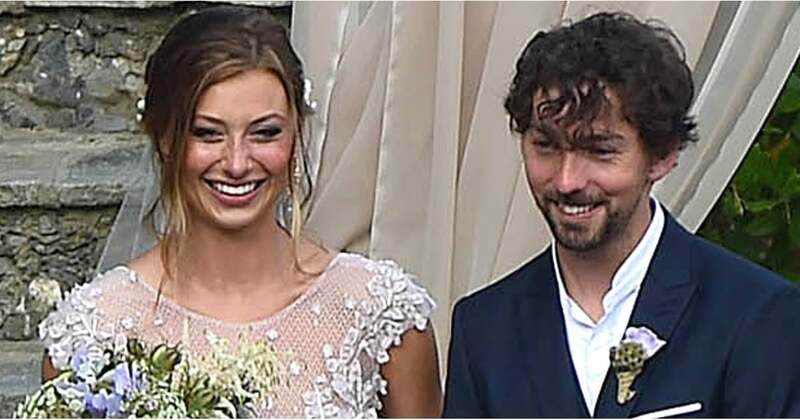 Aly Michalka has grown to become a beautiful adult and is now married. In recent years, she is best recognized for her recurring role as Peyton Charles in the TV show, iZombie. We discuss her rise to fame, her personal life as well as other interesting facts. Aly was born Alyson Renae Michalka on the 25th day of March 1989, in Torrance, California. Her parents are Mark Michalka, a construction company owner and Carrie Michalka, a musician who sang with the Christian rock band, JC Band. Aly and her younger sister AJ were raised together in both Seattle, Washington and Southern California. The sisters became hugely influenced by their mother’s musical side and from very young ages began singing in the church choir. Additionally, they also acted in church plays. At the age of 5, Aly learned to play the piano and later the guitar at the age of 13. A couple of years later, she made her acting debut as Keely Teslow in the TV series, Phil of the Future. She would go on to play the main role for a total of 43 episodes, ending in 2006. Aly then became a Disney staple acting in many Disney TV films. In 2007, the sisters were the focus of the MTV special, Aly & AJ: Sister Act. She made her feature film debut in Bandslam (2009). She was cast to play the lead role in the cheerleading drama, Hellcats, but unfortunately, the show was cancelled after one season. Aly Michalka would then appear in a number of TV shows, most notably a recurring role in Two and a Half Men. Her subsequent films would include; Crazy Kind of Love, Grown Ups 2, Killing Winston Jones, and more. Michalka continues to act in both films and TV shows. She also continues to make music with her sister AJ. Aly Michalka has done fairly well for herself in the entertainment industry and is still going strong. As of now, her net worth has been estimated at $2 million, a figure that is sure to rise as she keeps up with her career. Aly Michalka is married to film producer Stephen Ringer. The two initially met in 2012 on the set of the comedy film, Sequoia which was released in 2014. Ringer was the cinematographer of the film while Aly played the part of Reilly MacGrady. They began dating shortly afterwards and in June 2014, they became engaged. Aly revealed the news of the engagement herself via social media posts which were accompanied by photos of the diamond ring she received from Ringer. Following the engagement, her sister AJ threw her a bridal shower party that was held in an undisclosed location. On the 6th of June 2016, Aly and Stephen tied the knot in an intimate ceremony held at the Belmond Hotel Splendid in Portofino, Italy. Unsurprisingly, her sister AJ was her maid of honor. Aly wore a pretty lavender gown for her big day. Her husband Ringer was born on the 2nd of December 1984 in Dallas, Texas. Ringer began his filmmaking career in 2009, starting with short films like Little Richard and On Your Pretty Dress. His other films include; Two Summers Ago and Weepah Way for Now where his wife had a dual role of actor and co-producer. It also starred AJ. • Aly Michalka has a trademark green eyes that often appear blue. • Her parents are divorced. • As a result of her Hollywood career, Aly had to be homeschooled. • Michalka hails from multiple backgrounds including; German, English, Irish, and Scottish. • Michalka’s mother Carrie was once a cheerleader for the NFL team, the Oakland Raiders. • Her most successful song with her sister is the single “Potential Breakup Song” from their 2007 album, Insomniatic. • Prior to the release of their fourth studio album, the sisters changed their moniker to 78violet. However, the project didn’t materialize as they left Hollywood Records. They returned to making music in 2013 under their original name Aly & AJ.